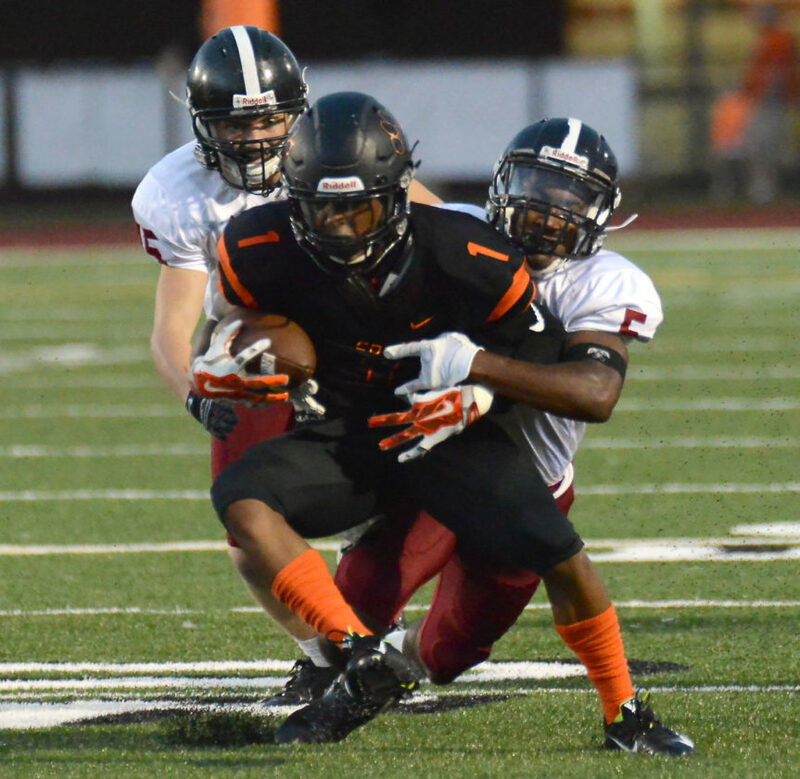 Shawnee Mission Northwest's Robert Strain (1) gets wrapped up by Lawrence High's Cade Burghart (left) and Ivan Hollins in the Lions' 41-6 victory Thursday, Sept. 24, 2015, in Overland Park. 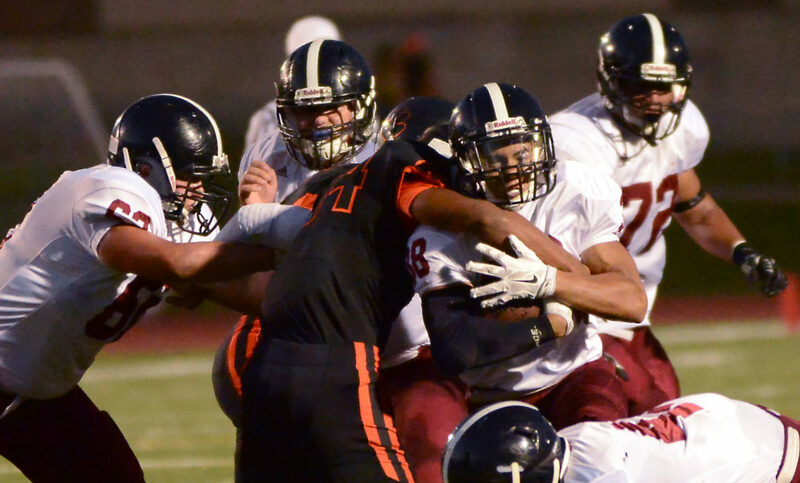 Lawrence High's Trey Moore (38) protects the ball as he's wrapped up in the Lions' 41-6 victory over SM Northwest on Thursday, Sept. 24, 2015, in Overland Park. 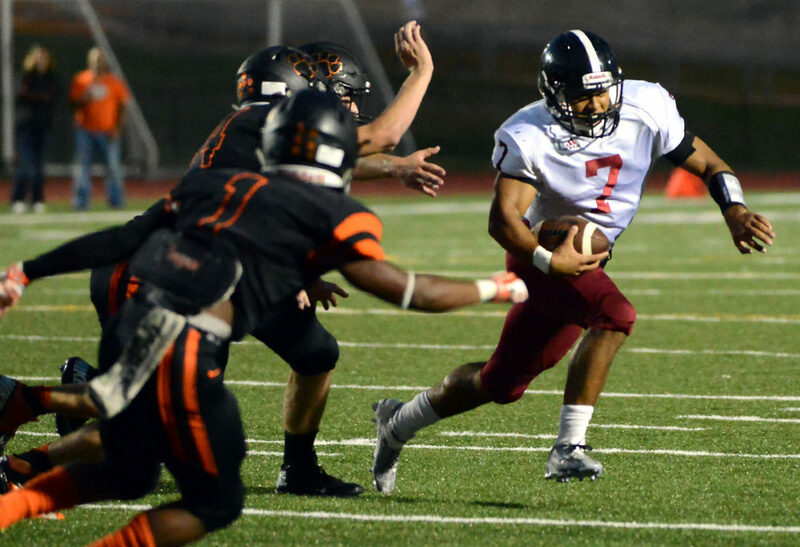 Lawrence's Trey Moore scampers for more yards late in the second quarter in the Lions' 41-6 victory over SM Northwest on Thursday, Sept. 24, 2015, in Overland Park. 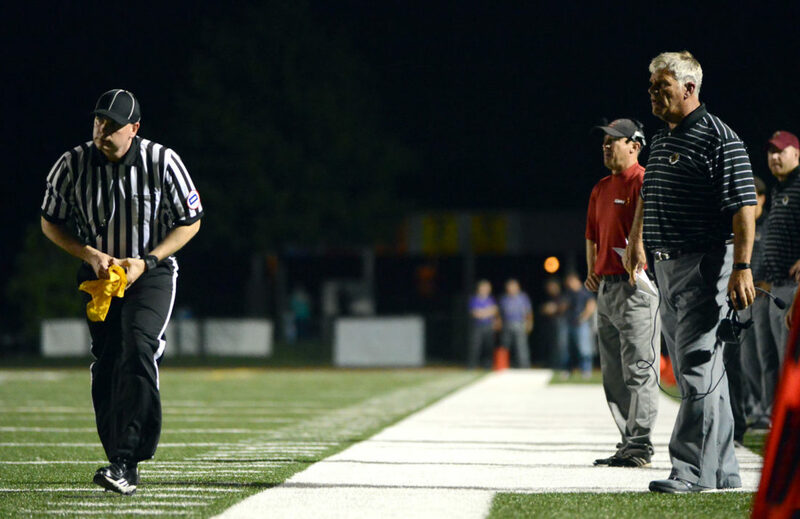 LHS coach Dirk Wedd visits with an official in the Lions' 41-6 victory over SM Northwest on Thursday, Sept. 24, 2015, in Overland Park. 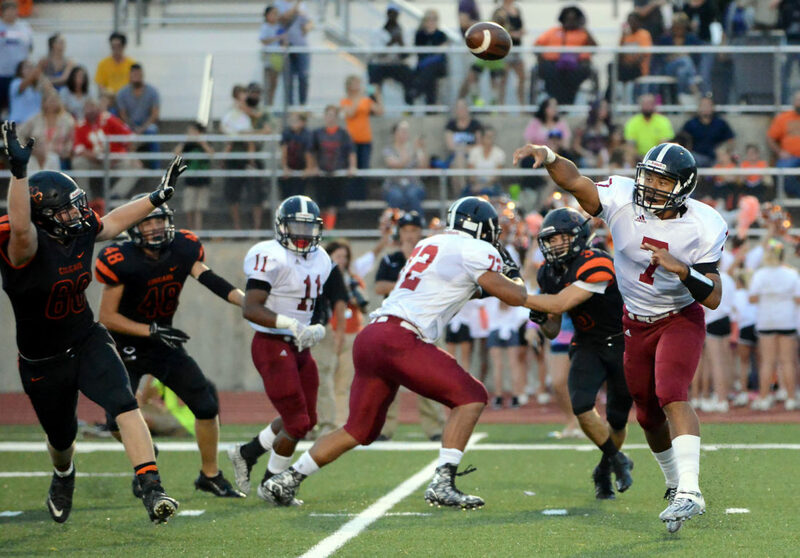 Lawrence High's Alan Clothier airs out a pass in the Lions' 41-6 victory over SM Northwest on Thursday, Sept. 24, 2015, in Overland Park. 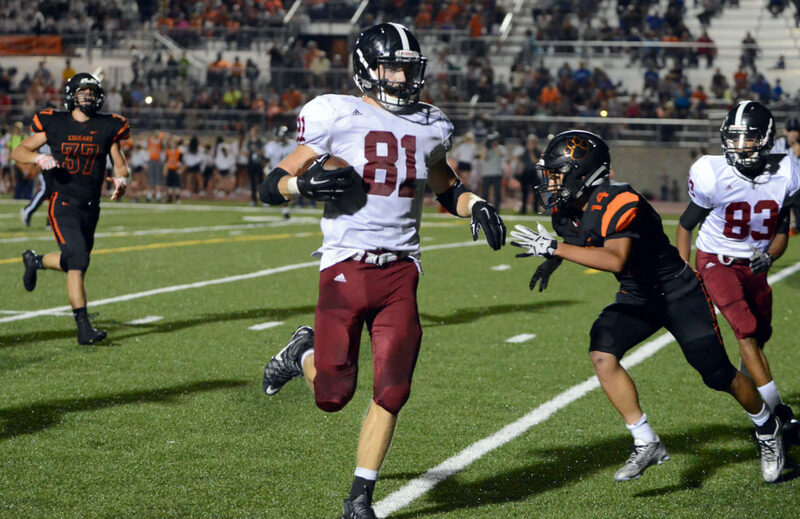 Lawrence's Price Morgan runs into the end zone after a reception to score in the second quarter of the Lions' 41-6 victory over SM Northwest on Thursday, Sept. 24, 2015, in Overland Park. 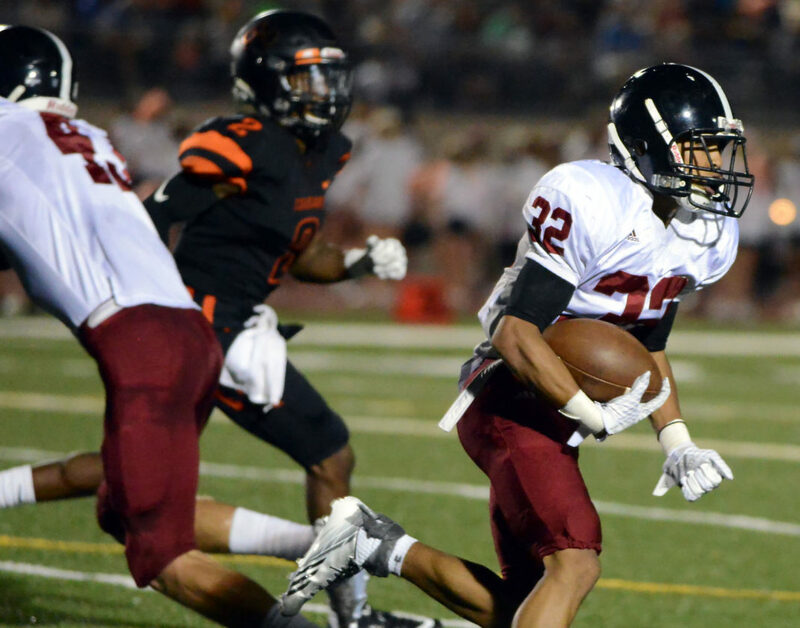 Lawence's Dante Jackson takes off in the second quarter for big yardage in the Lions' 41-6 victory over SM Northwest on Thursday, Sept. 24, 2015, in Overland Park. 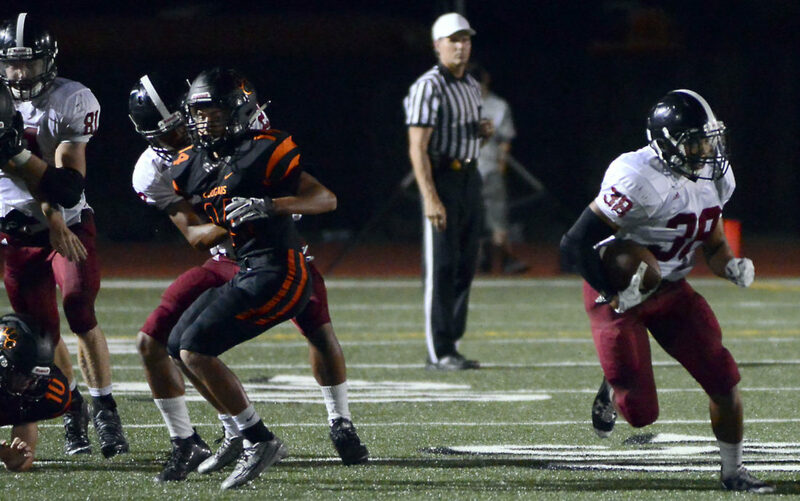 The Lions' Alan Clothier tries for a run play but gets stopped by SMNW's Xavier Perry in the Lions' 41-6 victory over SM Northwest on Thursday, Sept. 24, 2015, in Overland Park. 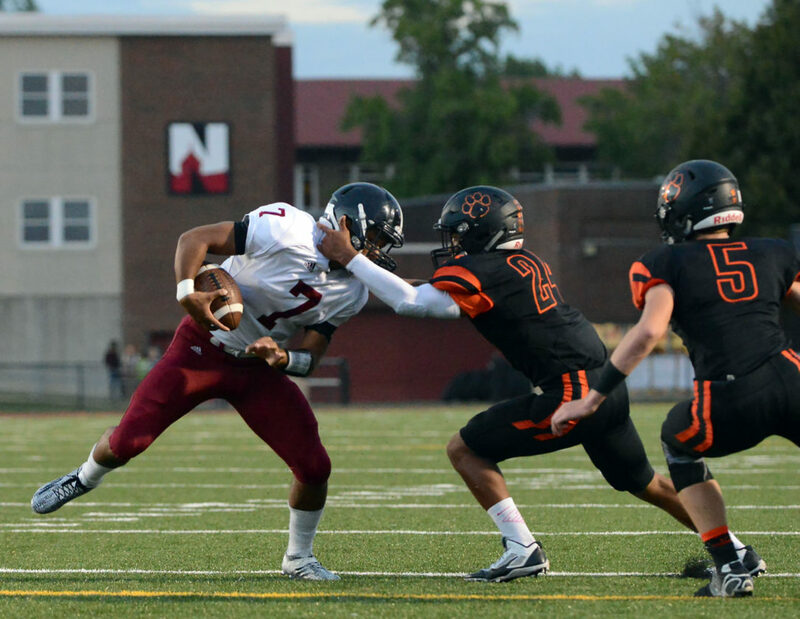 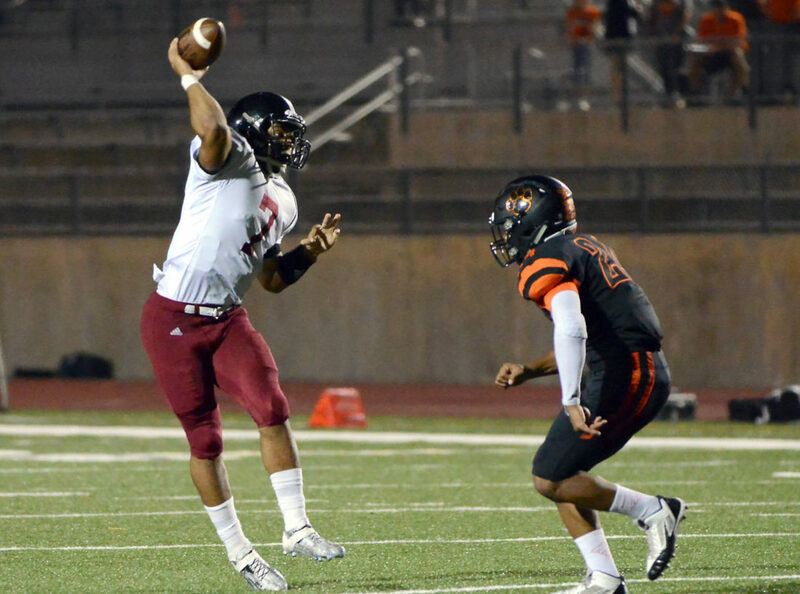 LHS quarterback Alan Clothier sweeps to the left side in the Lions' 41-6 victory over SM Northwest on Thursday, Sept. 24, 2015, in Overland Park.